La guacharaca moteada, chachalaca moteada2 o guaracachi (Ortalis guttata) es una especie de ave galliforme de la familia Cracidae que se encuentra en los bosques del noreste de Bolivia, este y sudeste de Brasil, este del Perú y Ecuador y sur de Colombia, a menos de 1.700 msnm. Ortalis guttata araucan – este de Brasil; con la espalda y rabadilla de color castaño obscuro. 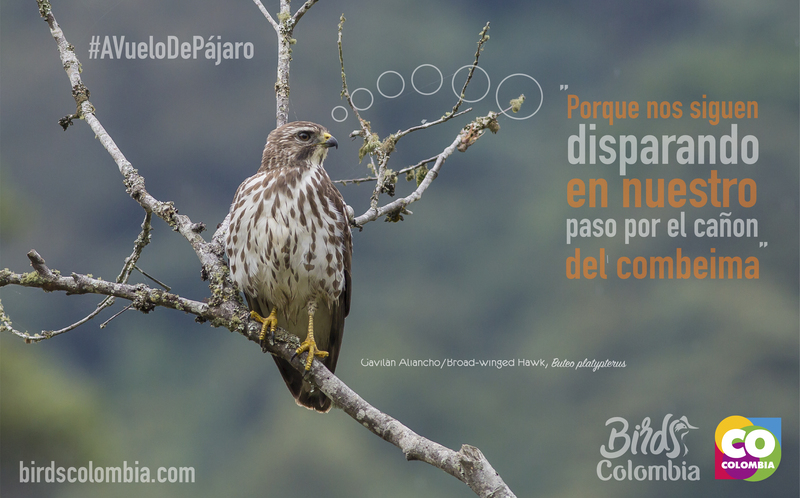 Ortalis guttata columbiana – al oeste de los Andes, en Colombia; con la cabeza gris clara con frente blancuzca; de color pardo grisáceo en el dorso y castaño moteado de blanco en el pecho y cuello, y con la parte inferior del vientre de color blanco. Ortalis guttata guttata – este de Perú y Ecuador y sur de Colombia; con el dorso, cabeza y cuello de color castaño rojizo, y el pecho pardo obscuro con moteado blanco, que se extiende al cuello. Ortalis guttata squamata – sudeste de Brasil; con el abdomen gris, y las plumas del pecho con borde blanco. Ortalis guttata subaffinis – noreste de Bolivia; con el plumaje pardo claro, que hace menos evidente el moteado del pecho. The speckled chachalaca (Ortalis guttata) is a species of bird in the family Cracidae. It is found in forests and woodlands in the western Amazon Basin. It has distinct white scaling/spotting on the lower neck and chest, but otherwise it resembles other chachalacas, it being vaguely pheasant-like (though far more arboreal and social), and with an overall brown plumage. Several taxa formerly included as subspecies of the speckled chachalaca have been considered valid species: the scaled chachalaca (O. squamata Lesson, 1829) in south-eastern Brazil, and the East Brazilian chachalaca (O. araucuan Spix, 1825) in eastern Brazil. The last of these has also been referred to as the Brazilian chachalaca or the white-bellied chachalaca, although the former arguably is problematic as numerous other chachalacas are found in Brazil, while the latter leads to easy confusion with the Central American Ortalis leucogastra. Alternatively, “araucuan” and “squamata” have been included as subspecies of the little chachalaca (the connection between the Guiana Shield and Atlantic forest is known from several other birds, e.g. the buff-throated woodcreeper and the yellow-green grosbeak). Both O. araucuan and O. squamata were originally described as valid species, but – without reason – changed to subspecies of O. guttata. Nevertheless, they all have white scaling/spotting on the lower neck and chest, thus resembling the Amazonian nominate group (incl. “subaffinis“), and most recent authorities continue to treat all as subspecies of O. guttata. The Colombian chachalaca (O. columbiana Hellmayr, 1906) was formerly considered a subspecies in this group, but is now recognized as a separate species by the South American Classification Committee of the AOU and the IOC. It is common in large parts of its Amazonian range. Nevertheless, its tolerance of disturbed habitats combined with its relatively small size makes it far less vulnerable than, for instance, the related curassows.